Don't miss out on the exciting festivities across the country on Canada Day. If you are in or around any of the following cities this Canada Day, do not miss an opportunity to dress up in red and white and participate in the festivities. VroomVroomVroom has put together a list of beautiful destinations around Canada that put on a big show for the annual event. 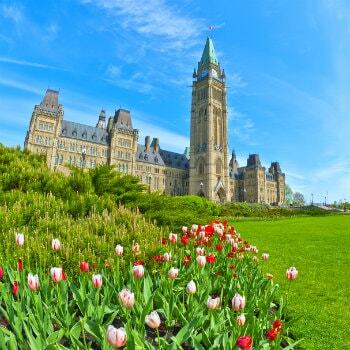 When you think of Canada Day, for many people the capital city's extravagant celebrations come to mind. Canada's largest pyrotechnic show will mark the special night, with the three consecutive days packed with entertainment like live music, airshows and more. Head to The Forks if you are in Winnipeg on Canada Day. It is a great destination for families with a day full of activities and musical performances. Stick around until 11.00pm for the impressive fireworks display. For those on the west coast, the biggest Canada Day celebration is in Vancouver. Make your way to Canada Place to see exciting live performances, interactive exhibitions, and a fireworks display. The following day enjoy a parade through downtown Vancouver. In Calgary watch as hundreds of people in red and white shirts attempt to form a living version of the Canadian flag. Of course it wouldn't be Canada Day without fireworks, so find your vantage point along the South Bow River Parkway to watch the colourful display. 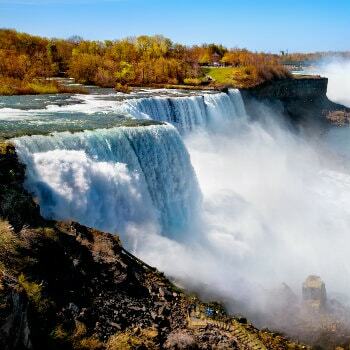 Stop by this famous destination to celebrate Canada Day with both locals and tourists. The day's festivities will include a parade with a number of floats and special guests. Why not celebrate Canada's national day at this iconic site? If you're in Moncton, head to the Riverfront Park to get the best seat for the day's festivities. Get a great view of the evening fireworks display, and spend the day listening to live music from Canadian artists. Hit the busy streets of Toronto for days of celebration this Canada Day. With nightly firework shows, music, workshops and celebrations of culture, there will be plenty to keep you busy in Toronto. The festivities take place in various places all around the city. For a cultural celebration, celebrate Canada Day in Victoria where Aboriginal culture will be celebrated. Of course, a traditional fireworks display is always on the cards. Regina will also celebrate the multicultural diversity in Canada as part of its celebrations. Along with musical performances, guests will also be treated to the annual fireworks display. 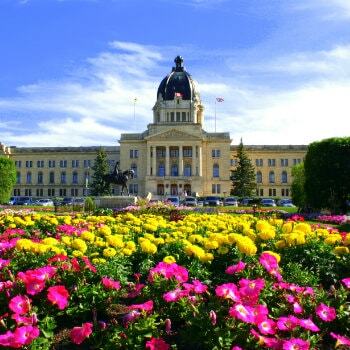 As Saskatchewan's capital, Regina will focus on the Indigenous culture in the province. If you are keen to honour and learn more about Canada's history, the celebrations in Halifax are a must-see. The Halifax Citadel National Historic Site will host special Canada Day events, and visitors can also enjoy an old-fashioned Village Fair. If you're in Nova Scotia - this is the place to be!